[dropcap]P[/dropcap]op culture displays college as an amazing time for young adults. From movies such as Legally Blonde to the attention surrounding college applications, there is no doubt that for many college is much more than just postsecondary education. For math teacher Jordan Showalter, college was one of the best experiences he has ever had. He grew up in a rural town in northwest Missouri with a population of 300, so attending the University of Missouri-Columbia (UMC) was a defining change in his life, which he remains grateful for today. Showalter spent five years at UMC, earning a degree in mathematics education. He was active in a fraternity, a member of the Mizzou Waterski & Wakeboard Team and was involved in many more activities in his time as a Tiger. He acknowledges his experience at UMC was unique to himself and believes there is no defining way for a student to live a fulfilling student life. Devesh Kumar, a 2016 RBHS graduate and a sophomore at UMC, learned this very quickly when he became a college student. Students who enroll in certain majors might have to live a more academic-heavy college experience, which senior Alex Geyer plans on doing. 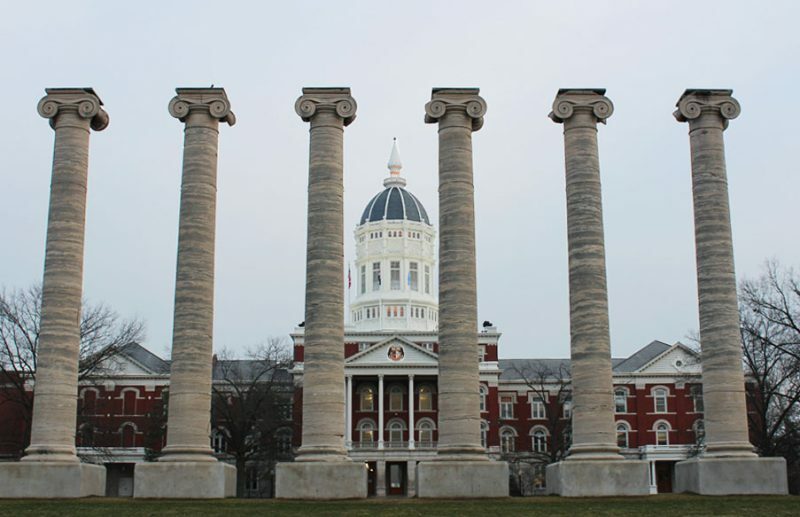 Geyer will attend the University of Missouri-Kansas City (UMKC) School of Medicine as a part of the six-year Bachelor of Arts/Doctor of Medicine program they offer to prospective medical students. As a result, he will receive a significantly accelerated medical education, which he realizes is going to take a large amount of dedication. When he isn’t studying, Geyer plans to engage in hobbies that he personally finds fulfilling, and would rather not get seriously involved in the party scene. Geyer, Showalter and Kumar hope students take the time to find what is important to them rather than get caught in pressures to engage in certain activities.